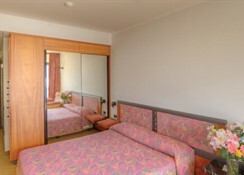 The city hotel features a panoramic lift that connects to 71 spacious rooms and suites, offering comfortably-sized balconies with beautiful views of the nearby Alpine foothills. Guests are welcomed into a lobby with 24-hour reception and check-out service. Additional facilities at this air-conditioned business hotel include a hotel safe, lift access, a hairdressing salon, TV lounge, cafÃ©, bar and a restaurant. Conference facilities are available, and guests may also take advantage of the hotel's room service and laundry service. Those arriving by car may leave their vehicle in the car park or garage. 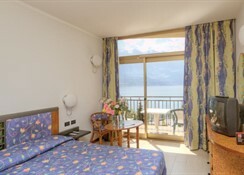 LocationThe hotel is located in Erba in the centre of the Larian Triangle, and is a perfect base from which to explore Lake Como. 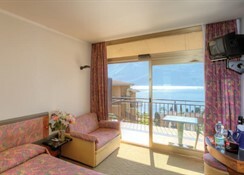 The hotel is just 15 km away from Lecco and Como and 45 km away from Milan. Near the hotel there is a bus stop for buses to Como or to Lecco, and a train station from which it is very quick to reach Milan. RoomsAll the rooms offer every comfort to make even the most demanding guests feel at ease, with refined furniture, stylish finishes and up-to-date technological solutions. 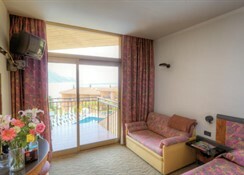 Every room has a direct dial phone, satellite TV, Internet access, a radio, alarm clock, mini bar and air conditioning. 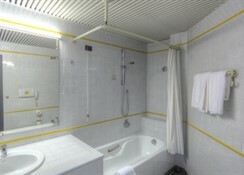 The en suite bathroom comes with a shower, bathtub, personal bath items and a hairdryer. 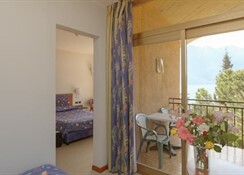 A double bed, personal safe and a balcony or terrace also feature as standard. PaymentAmerican Express, Diners Club, MasterCard and VISA are accepted at this establishment.